Anyone working mindfully within a tradition faces the challenge of setting themselves apart from their influences, of paying homage without appearing derivative. 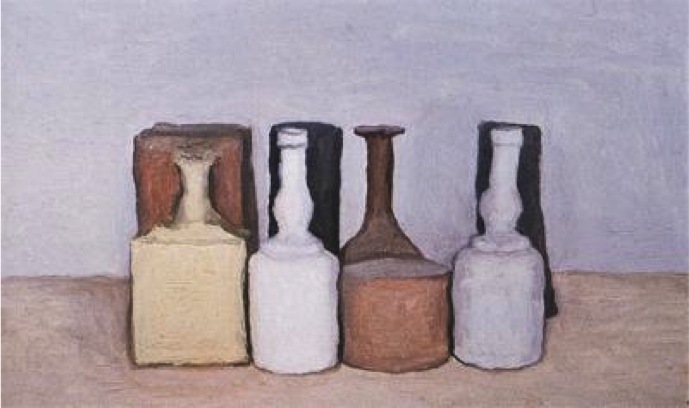 Being an admirer of Giorgio Morandi’s work, last year I started a project that engages his still life paintings by way of woodworking. 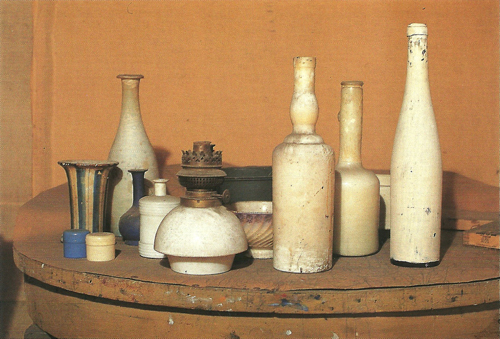 I’ve visited the reproduction of his studio in the Museo Morandi in Bologna, and one of the things that struck me was the specificity and singularity of the objects that he was arranging and observing for his paintings. Bottles were painted either inside or outside, labels on boxes were painted over, dust was allowed to collect. The personalities that he was tamping down were further suppressed through the act of painting. These aren’s so much collections of individuals as they are pieces of a puzzle, and the collective mass has a unity that resonates with the care and efficiency that exudes precision and purpose. I wondered if these seemingly innocuous objects could be extracted from the group context and reinvested with value as an individual. 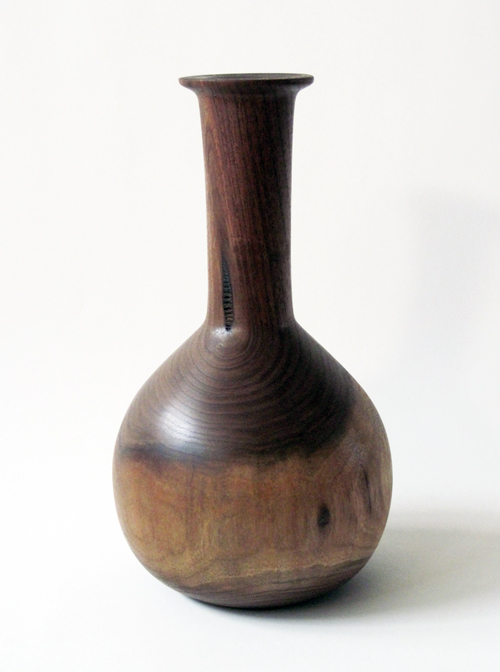 The way I went about it was to turn wooden objects on the lathe. The objects are “similar” rather than precise copies of those found in the paintings, and this allows shifts in scale to equate with shifts in vision or attention. Because they are meant to be seen individually, the objects are not subject to direct comparison. One of the hazards of this venture became readily apparent– the possibility that the objects would slip back into their utilitarian niche so tightly as to be insignificant or unrecognizable as objects of art. 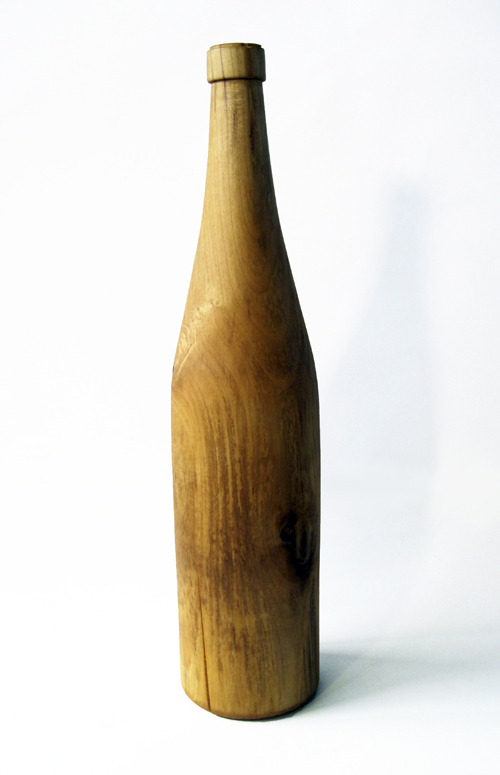 To help ward this off, I have been using green wood and have not been hollowing out the forms. 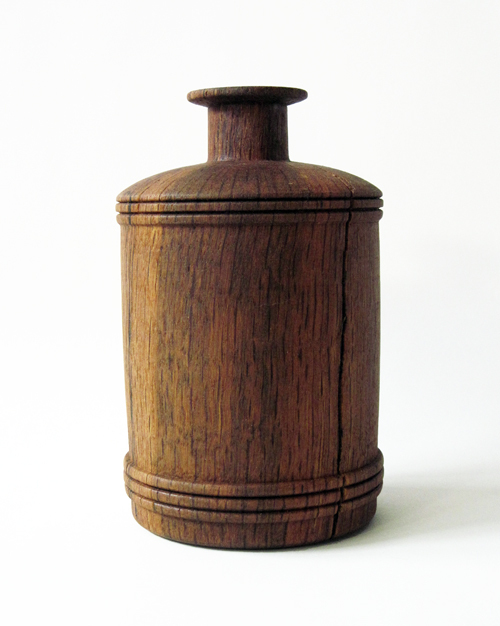 They keep the appearance of the vessel without actually becoming one, and as the wood dries it develops distinctive cracks. The one thing they still manage to contain is information, since the group is developing acting as an index of local species. This gets involved with ideas that are of interest to me in my painting and my collection of artificial plants– the power of illusion to inform but not supply, a territory of recognition kept off balance by a shifting definition of “usefulness”. 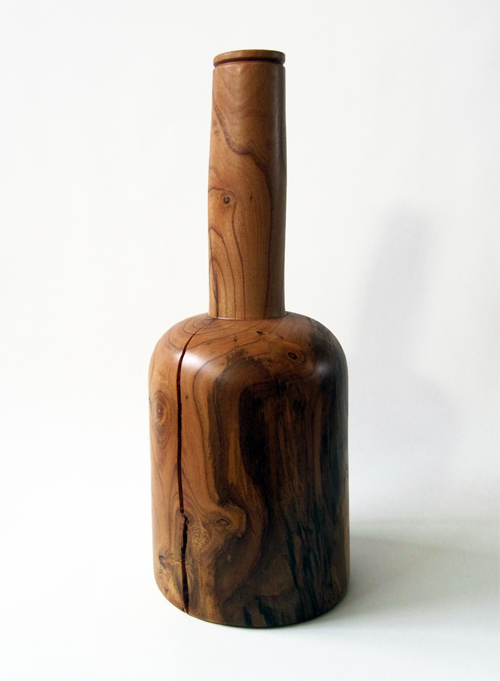 This entry was posted in space and surface works and tagged black oak root, black walnut, bottle, cherry, Giorgio Morandi, John Sarra, still life, tulip magnolia, usefulness, utilitarian, wooden vase on October 8, 2013 by johnsarra.